Lush has fast become one of my favourite brands so I am pretty pleased to be able to say that the Oxford Street Store is my local becuase its their new flagship and it has loads of exclusive products! I have to walk past there every morning on my way to work and I usually spend my friday afternoons in there too waiting for Andrew to come and meet me. 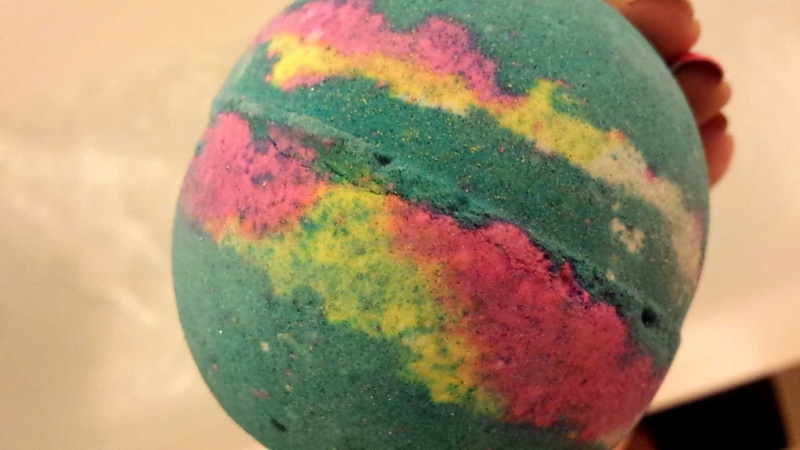 Last week I decided it was time for me to try my first of the exclusive bath bombs. 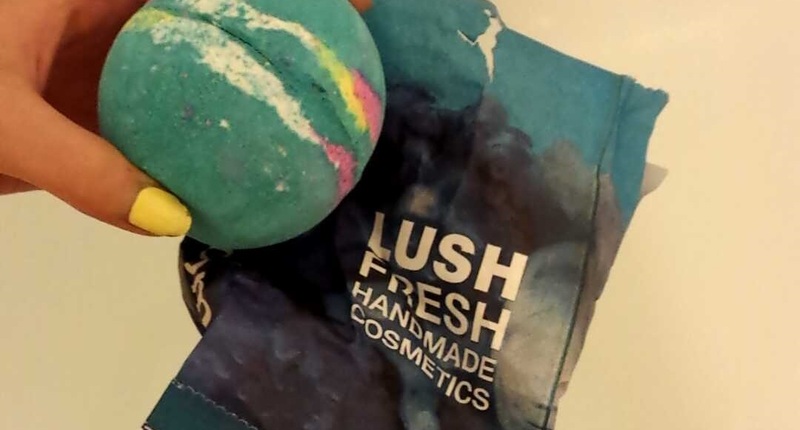 Lush staff are known for being friendly but the staff in that store are so amazing - they just love to chat. I was standing talking to one girl for another 10 minutes after she had already helped a very indecisive me pick what I wanted. I decided on Intergalactica. 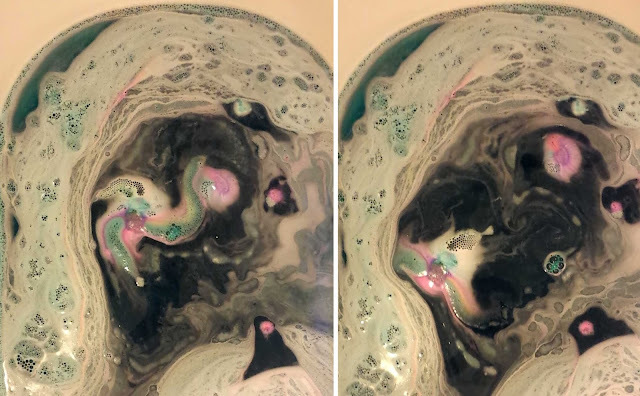 It doesn't really look any difference to an ordinary bath bomb from Lush but Intergalactica turned out to be my favourite bath bomb ever. Firstly it smells amazing and that was the reason I bought it in the first place. It's minty, very similar smelling to mouthwash but not in a bad way. It was one of those smells that you breath in deep to help open your airways. It was super refeshing. Another thing I loved about it was the way it fizzed. Firstly, it was much fizzier that any of the ones I've used in the past - it started off going crazy from one side of the bath to the next but when it started to calm down, it fizzed in a spiral, I like to think that was all part of the galaxy theme but I'm not sure if that was intentional. 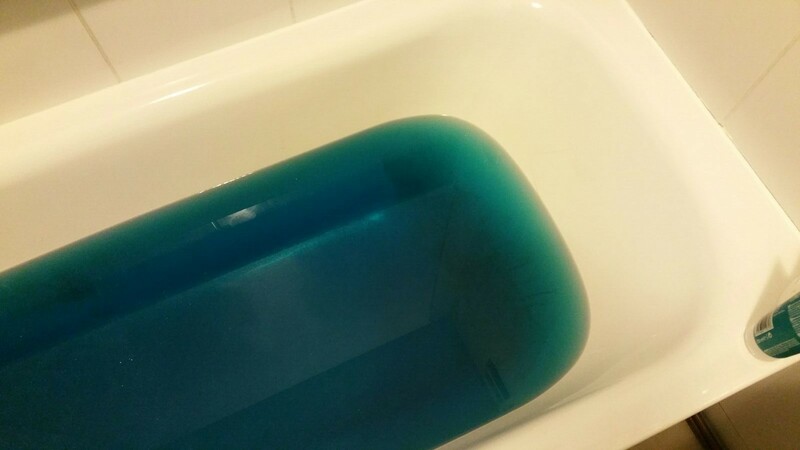 The last part that secured it as my favourite was the colour the water turned when all the fizzing was finished. It was the deepest aqua blue with tonnes of glitter. 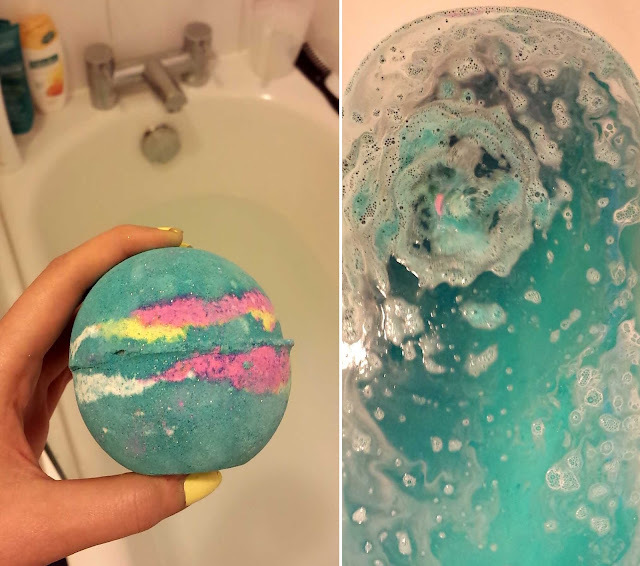 I couldn't decide if I was happy with the space theme or it was more like being a mermaid princess in the blue lagoon - either way I really enjoyed it and will definitely be purchasing another one soon. Have You Tried The Exclusive Products? Oooh this one sounds fab! I haven't popped into the new store yet, definitely will when I have a day off!